Amy Suzanne got to go to a late dinner last night, sort of a "goodbye" party for Stephanie, the girl she is "replacing" in the ex-pat rotation at Deloitte. There's no "replacing" Stephanie...she did a wonderful job here during her two years in Region 10. Their whole team went out to dinner at The Four Seasons (see link for awesome reviews of this place - a restaurant known around the city for it's wonderful biryani, but that also has ethnic cuisine from around Asia and the near east.) That left me here, alone at home, to babysit "Beloved" and watch the FIFA World Cup. The T.V. in our bedroom has been acting a wee bit dodgy since we hooked it up (turns out it's a bad internal switch!) ...so The Bee and I picked up and moved camp to another bedroom downstairs where it is cooler. After New Zealand tied their game 1-1 and the match was over...I decided to engage in a little "channel surfing", just like I might do at home in Pasadena. Some things never change! There is a handy-dandy "Guide" feature on our TATA-Sky TV system - and one of the choices is to choose programming by "region" or language. 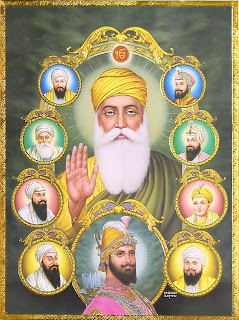 Looking for a spiritual fix, and due to my ongoing study of Sikhism, I clicked on the "Punjabi" channels...and guess what? We definitely need more TV like this at home!!! So, right now it's six o'clock in the morning. I've been up for a while. I just brewed a pot of Lavazza coffee (Note to "Noodlehead" - yes - it's much better coffee than Starbucks, by a light year!!) It seems that getting Suzanne out the door at 5:00 A.M. is going to be more of a two-man job than it was back home in Pasadena! We're working on the "teamwork" and coordination necessary to pull it off. I need to tell you that my wife has the innate ability to get herself ready to go anywhere quicker than any man I know. It's really something amazing to see. It's probably due to the fact that she's been "running late" since she was a kid, and got ready for horse shows in the back-seat of her car more times than she would care to admit! It never ceases to amaze me. Amy can get up, shower, dry-off, brush her teeth and do the 2-3 other things she does, and be completely dressed and ready to head out the door in ten-minutes. One big reason? I have seen my wife wear make-up exactly three times in our twelve-years of marriage. She is simply lightning-fast when it comes to getting ready for any occasion, and generally has to wait for me to put my shoes on. These are all good things when you live in Hyderabad... seeing how Naseer our Driver parks out-front at 5:00A.M. - and she tries to have him pull-away from the house at 5:10. So far it's working. My part: take Beloved out for her morning Ladies' Room run and put on some coffee. Then, I get Suzanne's laptop turned-off and loaded in her briefcase, along with adaptor and battery-charger, make sure her cell-phone is charged and in her purse, and, most-importantly, that she has her Deloitte badge and house keys. I have been riding into HiTech City and A-Block at Deloitte with her every day so far. And sure-enough, as happens on most days: this morning I went barefoot! Also this morning, our landlord Hari is coming by around 8:30 to teach me how to use the projection T.V. and all of the confusing-looking A.V. equipment down on our lowest floor. Last night we had some T.V. troubles in our room, but with some fancy T.V. switching, Krishna, Sangamesh and I got a smaller one put in the bedroom and we'll call a repair-man for the other. Our good friend at home, Annette Peterfy, told us that we will get so used to having a full-time staff of servants who want to do EVERYTHING for us....that we won't want to come home. I fear that I'm beginning to see what she means! After I get my Audio-Visual lesson for the day...Naseer and I are going into the part of Hyderabad, south of Hussain Sagar Lake - known as the Gun Foundry . This is the "financial district" and home to the headquarters for several Indian banks, including the State Bank of Hyderabad. 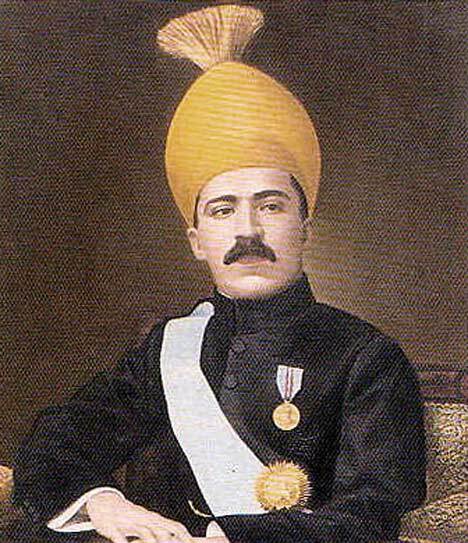 A bit of local history: SBH was established in 1942, during the reign of the last Nizam of Hyderabad, Mir Osman Ali Khan. The bank also managed the Hyderabad Rupee, (also called the Osmania Sicca, the currency of the old Hyderabad state), which had the sole distinction of having its own currency during British rule. This independent mindset of the proud people of this City and the area of Central Andhra Pradesh is pervasive to this day, and it is palpable. They are proud of this heritage...and - in a great way, this attitude adds to the current battle to split up AP, with a new state of Telangana being formed, with Hyderabad being the capitol, conforming, basically, to the boundaries of the old Kingdom. Much of the current battle is over funding of water projects (imagine that..."Indian Pork"!) 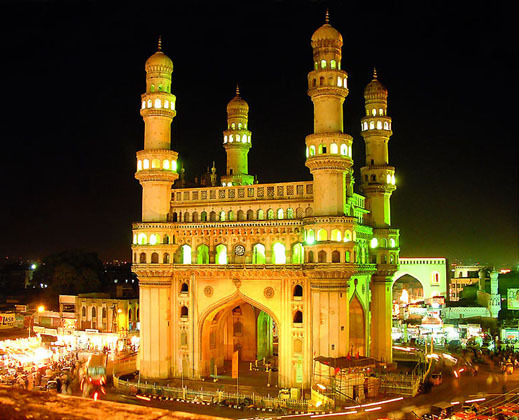 and the overwhelming support of the tax-base that the city of Hyderabad and her growing middle-class add to things. Imagine Northern California and Southern California splitting up over water rights. Similar scenario. Add all of these things together, and you have a lot of tension, a recipe for a real powder-keg of dissent, and possible revolution (dear God, I hope not!) American politics can be fairly brutal...but here - - political debate seems to me to be more like a full-contact sport!! Wow...did I just get "off topic" or what?? Sorry 'bout that!! Anyway, Naseer will drive us down to the Gun Foundry area to go on a recon mission to find us a church. I'm getting really antsy - and it's because I have not put down roots or gone to a proper Mass since we arrived. For me, this is some kind of a record, and one I am not happy with! My long black cassock, collars and rudimentary vestments are supposed to have arrived with our "air shipment" yesterday. Now we await clearance through Indian Customs and delivery out to Banjara Hills. My Missal, my St. Augustine's Prayer Book and my Bibles are in that container!! Not to mention my golf clubs!! I guess I'll have to watch Gurbaani Dashmesh Darbar Sahib Ji live on TV again tonight instead of saying Vespers!! It's very hard to explain, but God seems to be much less in a box here in India!